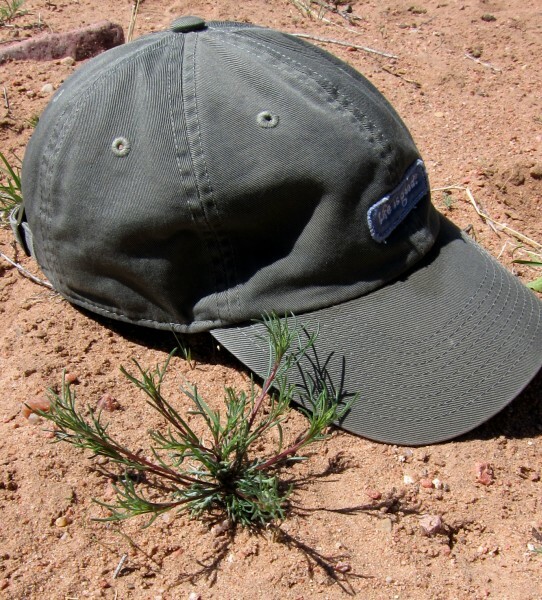 Tumbleweed (Salsola tragus), that icon of the American West, is as much an emigrant as many of us. This currently ubiquitous summer annual is actually native to Siberia and western Russia. Also called “Russian Thistle”, the plant showed up as a hitch-hiker in flax seed belonging to Ukranian emigrants in South Dakota in 1873. In 1879, it moved with a boxcar of cattle by railway to California. This pattern of hitch-hiking and its own tumbling seed dispersal method has now made it a very common but mostly unwelcome plant throughout the western United States and Canada. 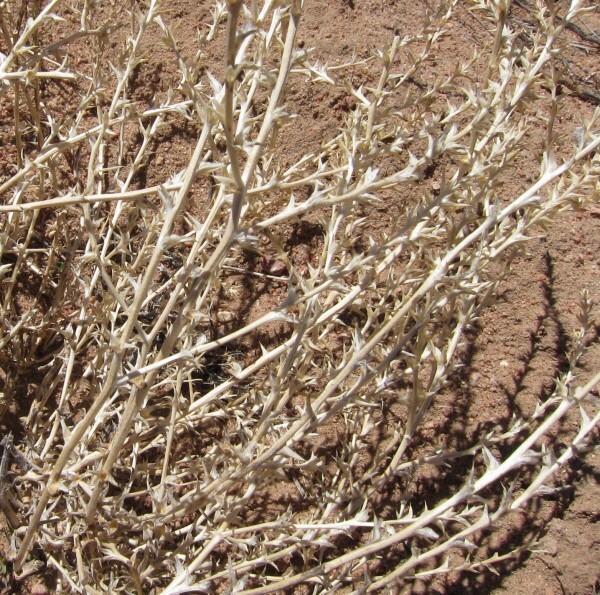 Tumbleweed belongs to the Goosefoot family which also includes many native amaranths, Lamb’s Quarters (“quelites” in the local Spanish), our cultivated spinach and other tasty greens. So should it be any wonder that very young tumbleweed is delicious for man and beast? If picked before the stems become woody or flowers develop, the leaves and stalks are tender and yummy. Wash well and steam or saute’ like spinach. The greens are high in nutrients and they’re quite good. 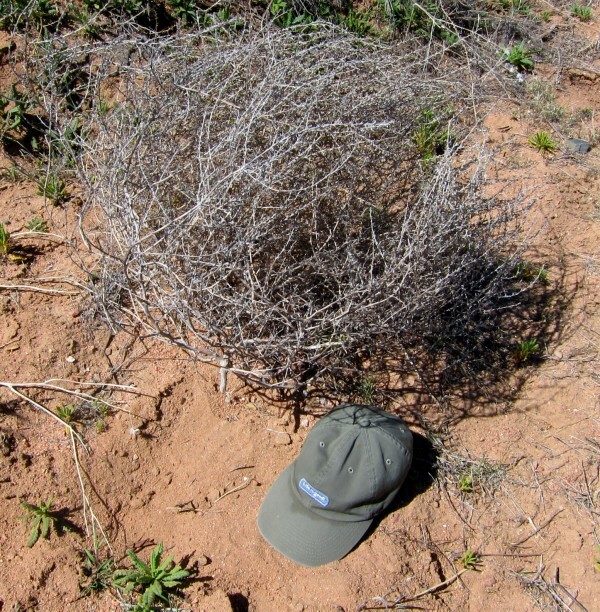 Tumbleweed prefers disturbed soils and will not germinate well where there is established vegetation which makes it ideal for traveling with humans and their soil-disturbing ways. Construction sites, open tilled fields or over-grazed pastures are perfect for tumbleweed seeds to find a home. The plants grow very quickly, often into a globular shape and set many, many seeds within prickly bracts along the stems. As the seeds mature, a specialized layer of cells at the base of the stalk develops much like those at the base of an ordinary tree leaf. This “abscission layer” behaves like a perforation in a sheet of paper. As the plant dies and becomes brittle, a good breeze will provide enough force to cleanly shear the plant top with all its seeds away from the root. And away it will roll spreading its seeds in a trail behind it. Last year's dried tumbleweed, most seeds already dispersed. Although a huge nuisance to anyone with fences or walls which collect tumbleweeds and a fire hazard (think rolling balls of wind-driven flame across fields), some researchers are investigating the potential to use them to biologically extract and concentrate heavy metals like selenium or cadmium from contaminated soil. And for those hare-brained individuals who think everything is a yard ornament, it’s possible to catalog order your very own tumbleweeds, natural or painted for Christmastime. This entry was posted in Current news&events, Flowers&Fauna, Plants and tagged New Mexico, outdoors, tumble weed, tumbleweed, wild plants. Bookmark the permalink. detailed information you present. It’s good to come across a blog every once in a while that isn’t the same outdated rehashed information.